EIU alumni have a unique opportunity to applaud their rich EIU experiences and a chance to solidify their personal EIU legacies with an engraved Commemorative Courtyard brick or paver. 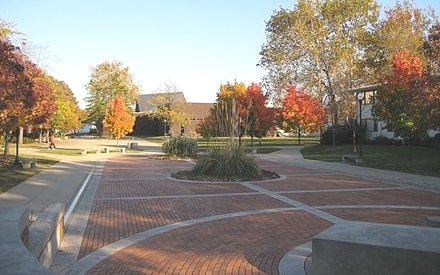 By investing in an engraved brick/paver, you are acknowledging and honoring your time and accomplishments on campus, or helping to memorialize friends or family members who would be proud to know they've been recognized with a lasting tribute to their time on campus. Personalized bricks/pavers will be permanently and proudly displayed in EIU’s Commemorative Courtyard near the Library Quad, leaving an enduring impression that current and future generations of our growing EIU family can celebrate for years to come. In addition, 80 percent of all brick/paver investments can be designated to support a scholarship, college, department, or program of your choice. We appreciate and value your help in paving the way for EIU's continued success! To purchase a brick or paver, simply CLICK HERE. You'll be directed to a new page where you can enter and submit all the necessary information.